Trams are a thing of the past. Nowadays, they have been replaced by buses, subways or cars. There’ something about trams that invokes our imagination (and perhaps a more romantic side as well). Sweden have had its share of trams. At least five of the major cities that had them. Stockholm was one of them, but the Stockholm transport authority decided to remove them when Sweden switched from left side, to right side traffic in 1967. The cost of replacing cars and what not would have been too big. Malmö (third biggest city in Sweden) on the other hand, decided to convert their remaining stock to right side traffic, which prolonged the tram service until 1973, when it was decided that too few people used the remaining lines and cars. The transport authority felt that buses were cheaper and easier to maintain. I have been lucky enough get hold of some photos taken on the last day of the tram service in Malmö, April 27, 1973. I’ve always felt that a tram service in a city makes it more alive and more pleasant. But I guess, it really is a thing of the past. 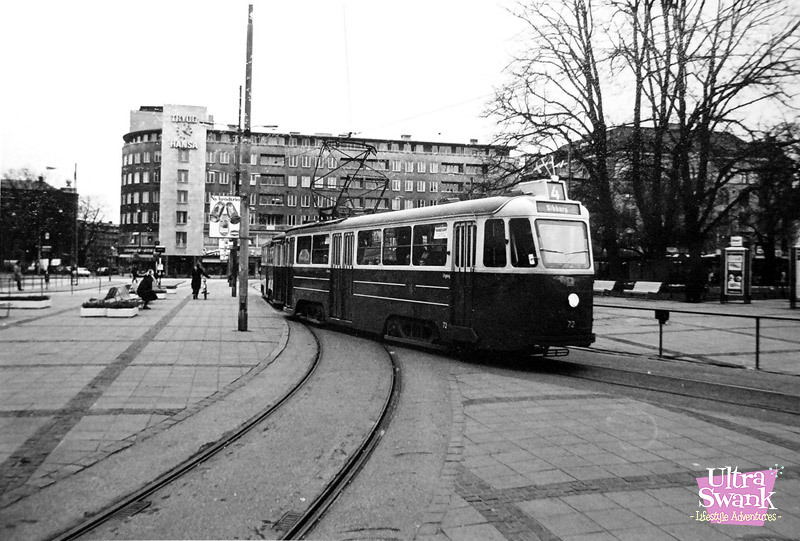 Above, a video showing the trams in Malmö, Sweden between 1964 and 1973.